In the era of Email Marketing “MailChimp” have gained a position where one refers to email marketing itself as MailChimp. 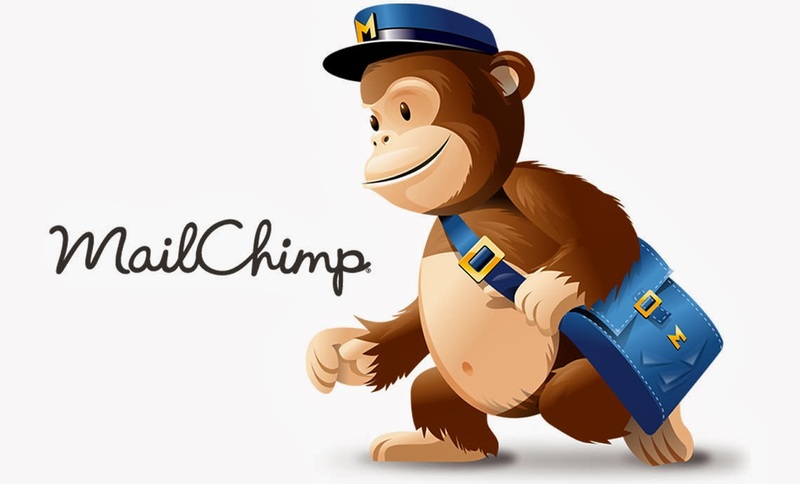 So whenever there is something we need to say as email marketing we refer it as MailChimp. Much known for its great email marketing structure. Email services like MailChimp comes with one main issues which is nothing related to being technical or error it is financial issues. Yes!! You read it right. For people which larger or fortune business it isn’t much of a big deal but for startups and small business owners it creates a bit for bound for the level of usage of email marketing services. MailChimp is a well known email marketing service which provides email marketing varying with different range of pricing depending upon the nature and the level of business. As we all know email marketing plays an important role in any form of business ranging from startups to well known organization. The main idea that formed the base of email marketing was to strike all clients who have chose to follow your regular updates with balanced email delivery. Therefore MailChimp was introduced as email marketing tool for balanced email services which helps business at all levels to stay visible to their clients at all times. Thus MailChimp arise as the perfect tool which was reliably capable of handling email marketing campaigns. The campaigns included newsletter designing, Opt-in boxes for websites and making a delivery timely to your subscribers. Why Do We Need MailChimp Alternatives? 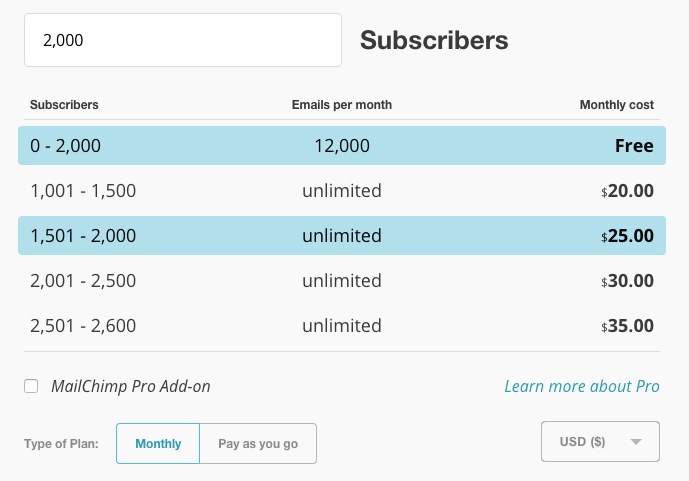 The only one reason that makes user to look for an alternative for MailChimp is its pricing model. 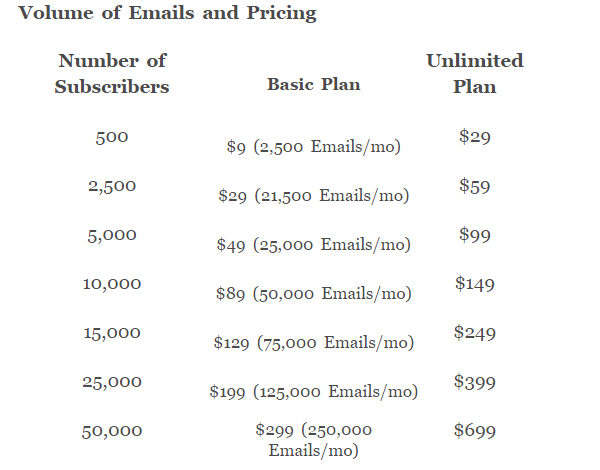 Lets have a look at MailChimp pricing model. 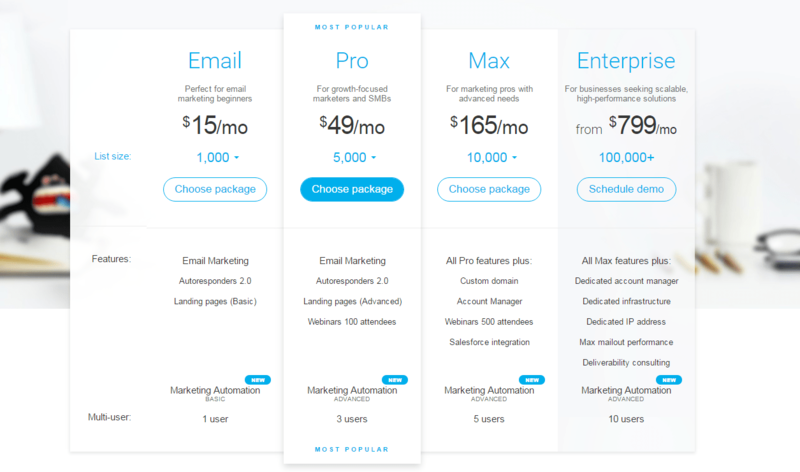 So looking at the pricing model of MailChimp you can notice that it is a bit affordable if your business is at startup level cause you don’t need to pay anything upto 2,000 subscribers and a limit of 12,000 mails per month is provided for free. In case you require an unlimited service per month then the charges differ. For 1,001-1,500 subscriber you get unlimited email services per month costing you $20/-. Which is quite a much for this limit of subscribers and also not quite easily affordable for small business. Here are some affordable and easily managable email marketing services as an alternative to MailChimp. Email marketing is the best way to mobalize your audience with every update that you make making yourself visible as well as transparent to your clients. If you haven’t yet started it then you should prefer it. AWeber is great email marketing solution for the owners of small business parties. Since they don’t have much time designing their newsletter campaign. It has in-built templates which can be used directly by just putting you r content. So its kind of easy for people who don’t much need to have knowledge for web designing. As you can see above it costs $19/mo for subscribers up to 500. Even though AWeber lack a bit behind in providing designing tools but compared to MailChimp but it performs well when it comes to email tracking. Yup!!! AWeber has better email tracking services compare to MailChimp. Using AWeber for email tracking gives you exact information regarding who have opened your email, when and even links that they have clicked on. AWeber is considered better when it comes to email tracking as well as tracking click within emails. When it comes to support AWeber is again ahead of MailChimp in this parameter also. AWeber offers phone as well as email support during business hours. On the other hand MailChimp only provides email support. Omnisend is a powerful e-commerce marketing automation platform that uses an omnichannel approach aimed at helping growing e-commerce stores graduate their marketing efforts. Its deep integration with WooCommerce, Magento, Shopify, BigCommerce allows you to gather important data about your visitors’ shopping behavior and use it for greater personalization and segmentation. Omnisend is a great alternative to MailChimp for online businesses. The pricing model is based on subscribers and functions. There is a free plan to send 15,000 emails to up to 2000 subscribers. The Standard plan starts from $16 per month. Under PRO plan ($199/mo), you’ll get your own dedicated account manager. GetResponse is a good solution which is rich in features as compared to MailChimp. Even when it comes to the pricing for email marketing it owns a good opportunities with much more for emails. GetResponse have much more bags full of features then any other vendors can provide. GetResponse provide a feature which enables you to create a different landing for distinct marketing campaigns within a minute itself. Another important factor like split testing which is much more like trying different versions of same newsletter or marketing campaign is supported by both MailChimp and GetResponse. Where MailChimp allows you to go up to two iterations for split testing, GetResponse allows you to use split testing up to five iterations. ConstantContact is not a new runner in the race it has been there from last 20 Years. 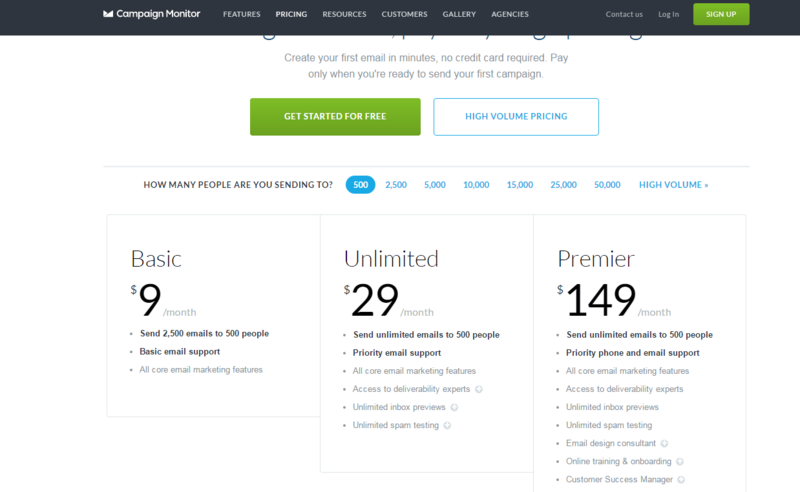 Even the pricing factors are not much lower then MailChimp but still it is a bit lower. Taking into account some of its good factors. 24/7 support available: Any question or query related to any kind of error or confusion they are available. You get instant support from the support team. Easy Template Builder: The template builder for ConstantContact is easy to use since it comes with loads of configuration options and easy navigation. Mobile App: Its more like take it on the go. No need to sit in from of your computer all the time for tracking emails. You can use mobile app and track all the emails easily on your phone. 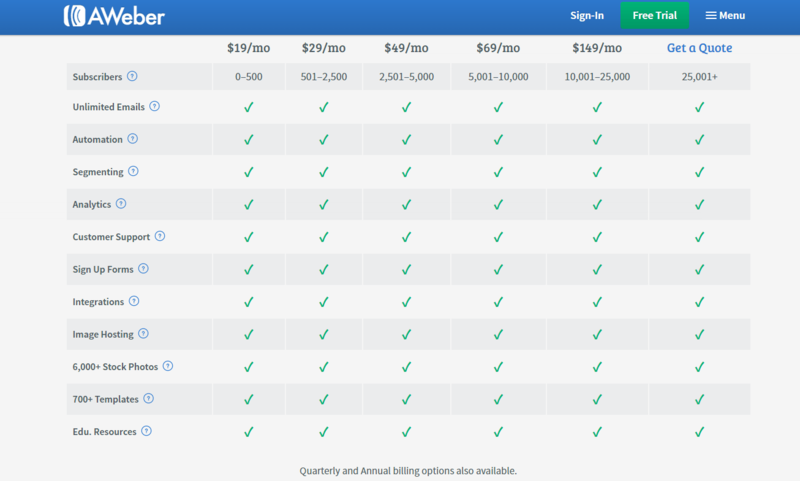 Considering the pricing factor sendinblue is four times cheaper then MailChimp. It gives you the flexible limit of 9,000 emails free per month. 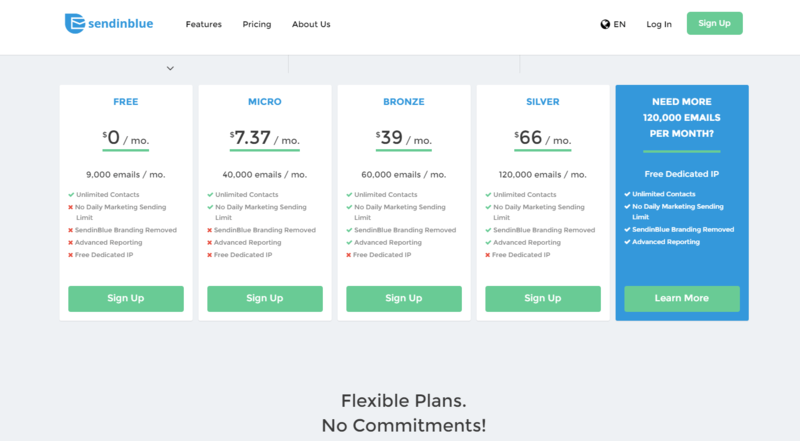 It has three different plans starting with Micro which is prices as $7.37 with 40,000 emails per month which is a lot more compared to MailChimp with a lot less price. 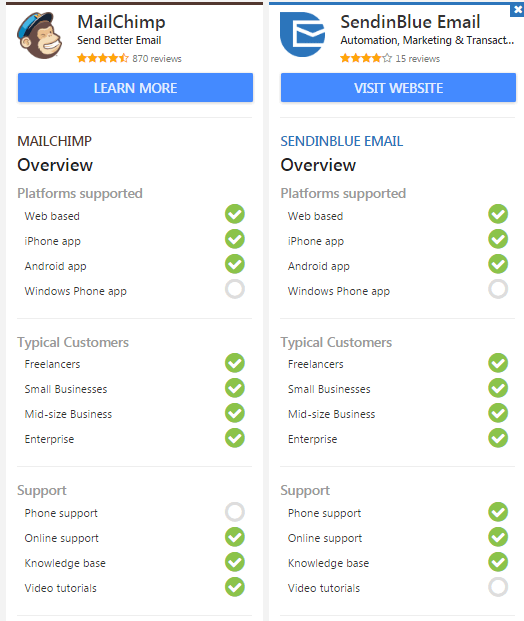 Since all we are considering about is financial parameter lets have some look at the feature comparision for MailChimp and sendinblue. Here below is or first comparision which looks at the platform and support factors. Here you can notice that both are almost equivalent. 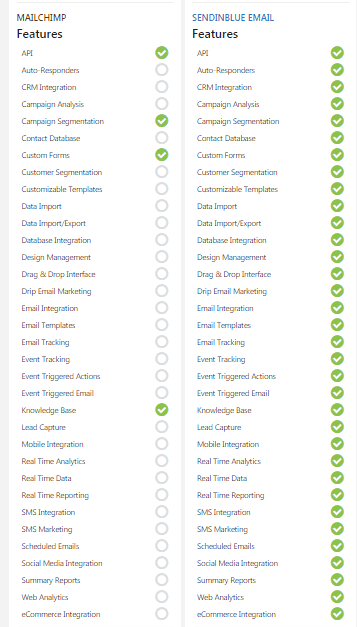 Whereas Looking the comparison of provided features by both MailChimp and sendinblue there is a great difference. The best part of switching to sendinblue is that you can import all the contacts and work from mailchimp to sendinblue in one click easily. Both companies allow you to get started for free so that you can use and feel the system getting to know it better. Campaign Monitor allows you to have a basic for $9 per month with up to 500 subscriptions and 2,500 emails per month. Campaign monitor is best suited when you need to manage the list of subscribers and you send emails often then on regular basis. Awesome drag and drop email news editor. Hundreds of web and mobile ready HTML templates. There are many great alternatives present for Mailchimp but the choice varies with the business requirement. If its a small busniess where you don’t need to send email every day or on regular basis then Campaign monitor is best for that because it allows you to manage list and subscribers as well. But if there are more requirement of sending mails on regular basis in large volumes then sendinblue is best suitable. Overall selection of alternatives highly depends on business requirement. Below is collected data with some more optional alternatives to Mailchimp. So these were some good alternatives for MailChimps where you consider the pricing as a factor as well as features in some. For more information write to us.